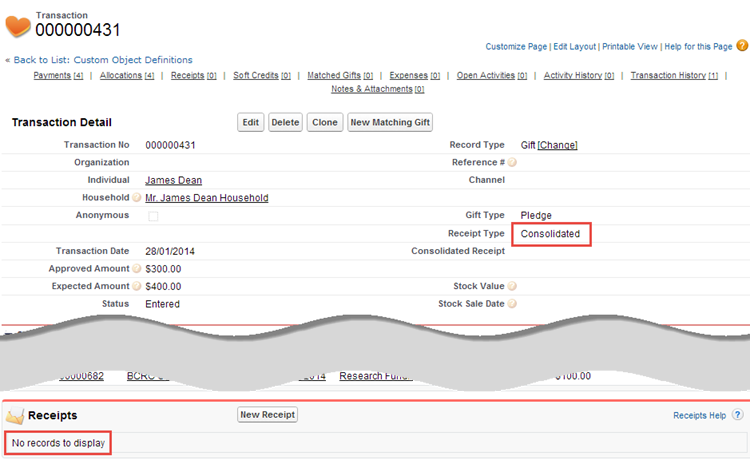 If your constituent would like to receive a consolidated receipt, it is important to set the receipt type to “Consolidated” when creating a new gift. 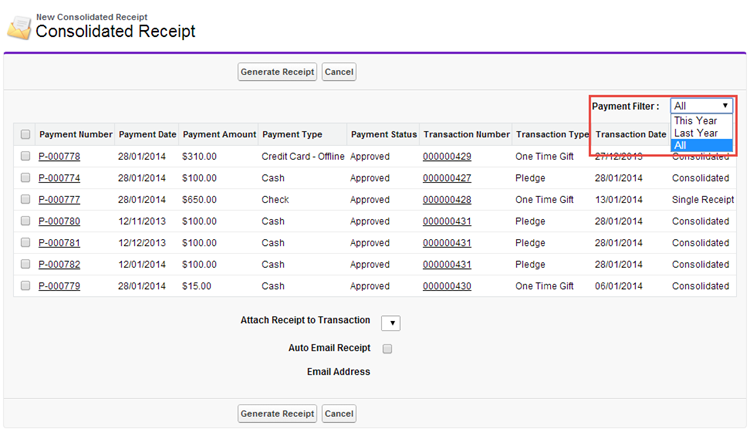 Similar to when the “Receipt Later” box is selected, a receipt will not be created for a consolidated receipt gift, even if that box is not checked. 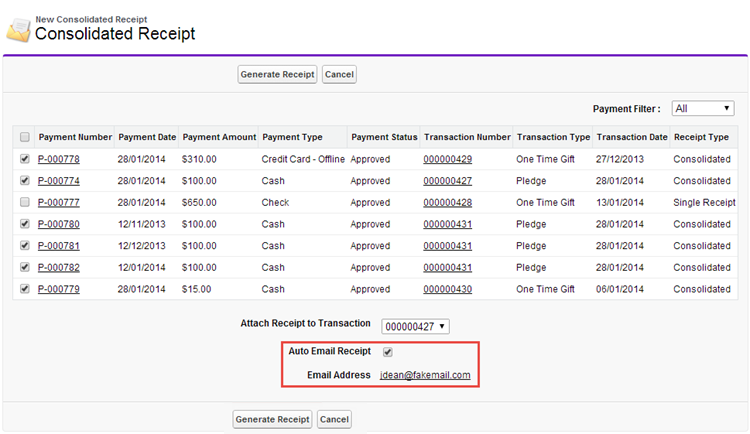 However, setting the receipt type is important for later identifying which payments to add to your consolidted receipts. 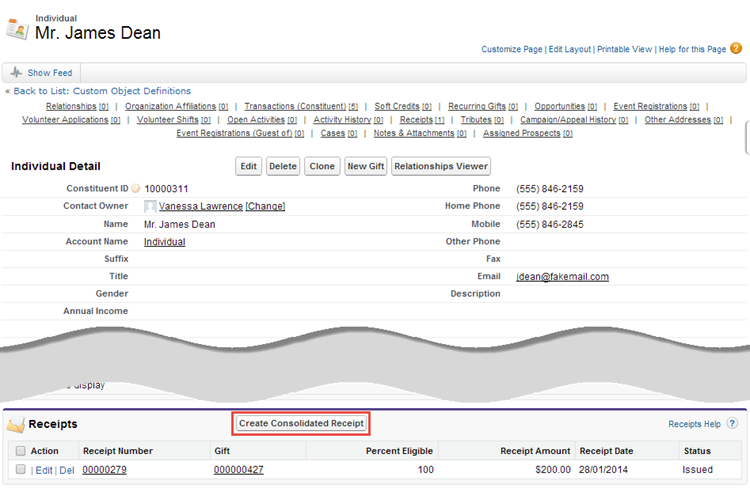 The consolidated receipt interface lists the constituent’s payments which haven’t been receipted. 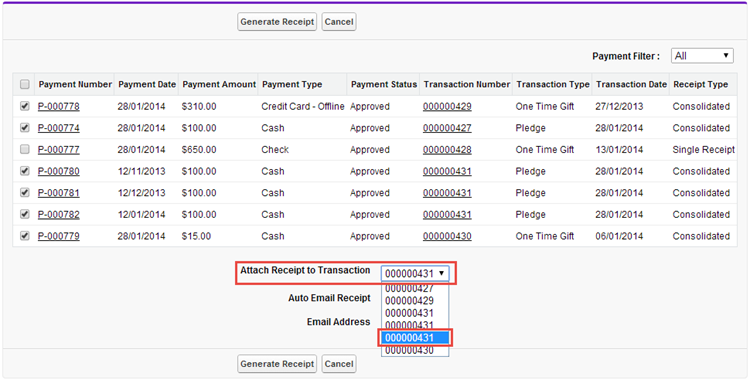 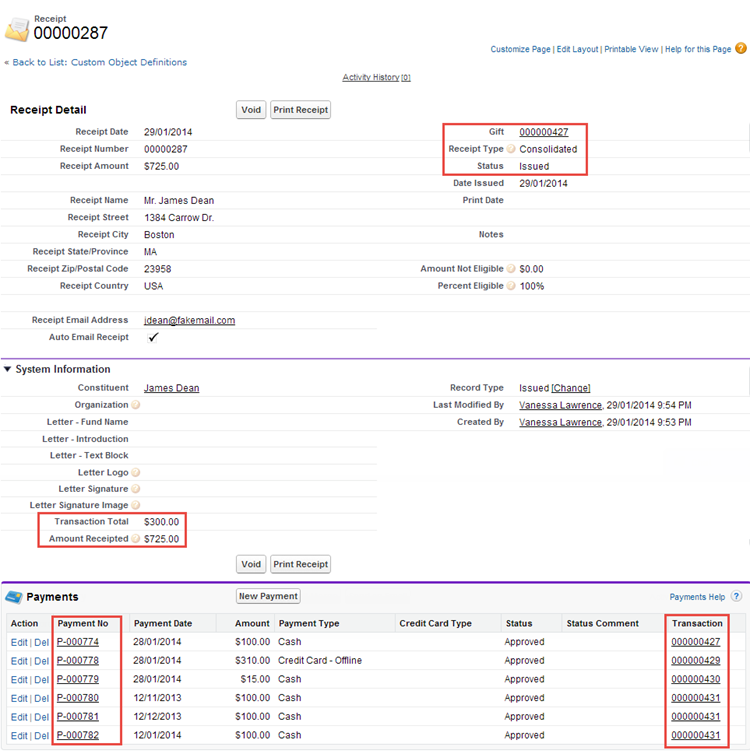 Using the “Payment Filter”, you can choose to display unreceipted payments from the current calendar year, the previous calendar year, or all unreceipted payments for the constituent.